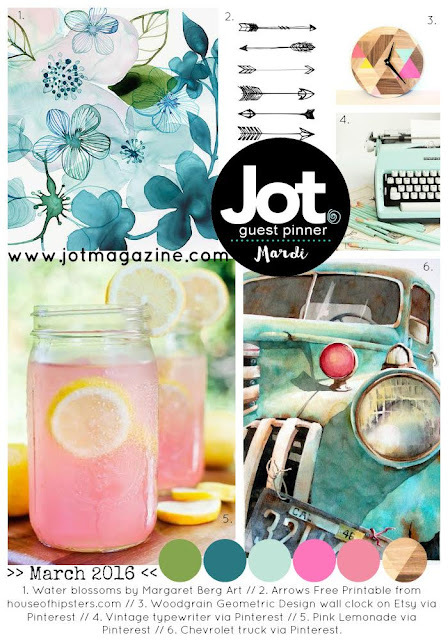 Today I am here to share the latest Jot Magazine mood board with you and my layout inspired by this board. 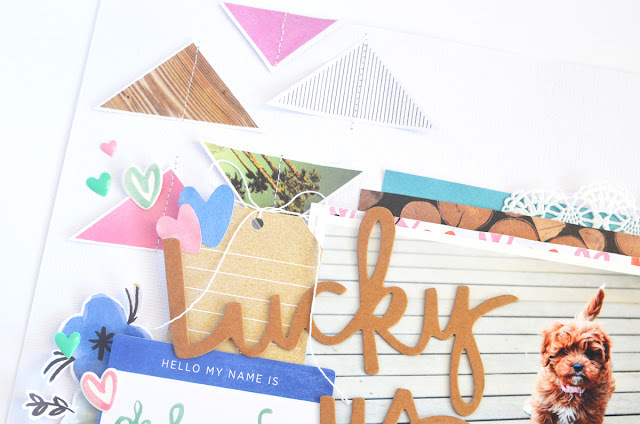 For this layout I was inspired by the colour palette and also the arrows and the triangle print on the woodgrain clock. 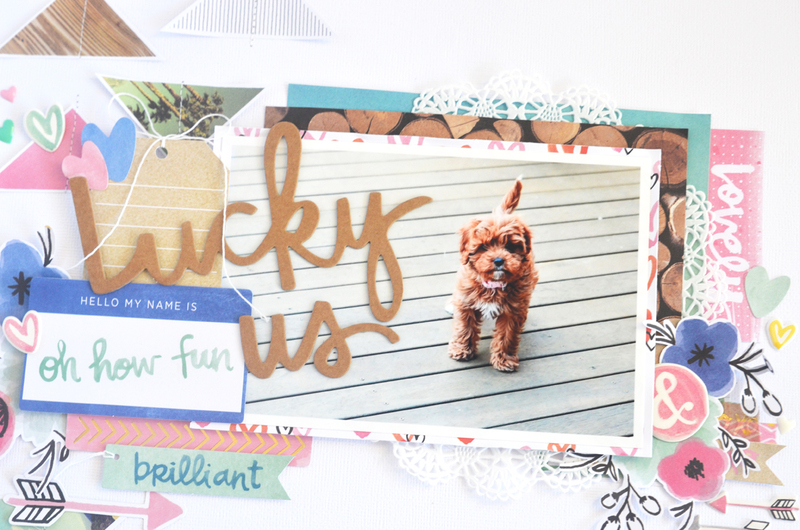 I decided to document a layout about our little puppy and how lucky we are to have her as part of our little family. 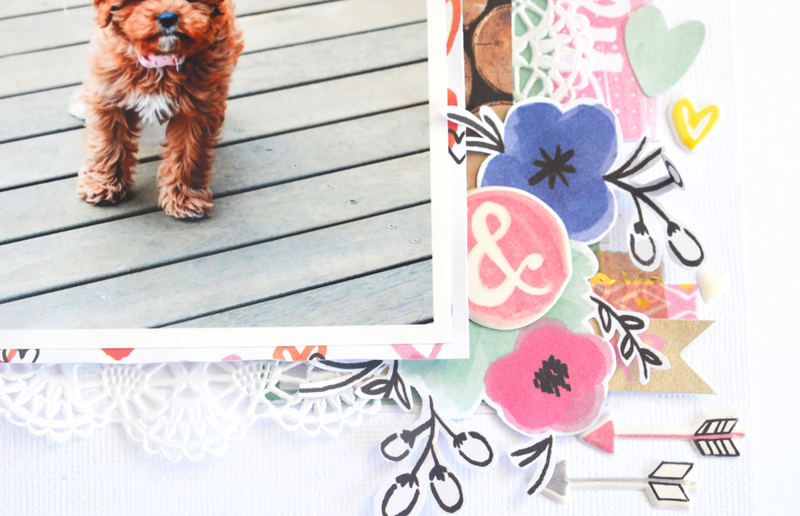 I used the Amy Tangerine 'Finders Keepers' collection for this layout. The colours were perfect for this mood board. I fussy cut the florals from one of the patterned papers. Those cute puffy arrows are just like the arrows in one of the images. I journaled using my typewriter. I added a vertical row of stitching for added interest. Each of the triangles were stitched just for a bit of texture. The behind the photo were mainly 4x6 or 3x4" cards from one of the cut apart sheets. 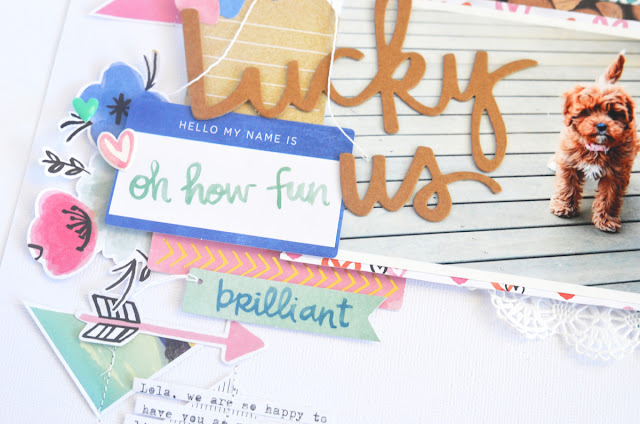 I used an older Amy Tangerine phrase thicker pack for the title. Thanks for visiting my blog today! Don't forget to check out jotmagazine.com for the other Jot Girl samples. Jot Magazine - Numbers Gallery; You are One! Jot Magazine - Issue 13 Out Now!